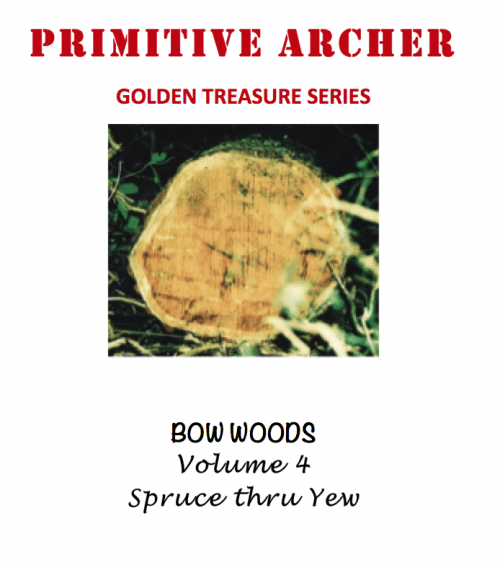 The first of many soon to be available volumes of the Golden Treasure Series this book is comprised of 6 articles covering the Atlatl and Eskimo Bows and Arrows. 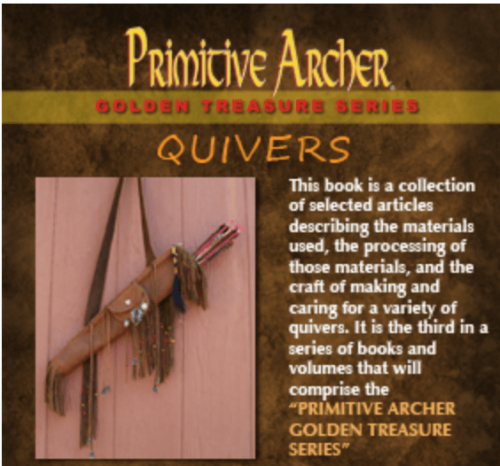 This publication is an informative 54 page compilation of previously published articles from “PRIMITIVE ARCHER®” magazine. 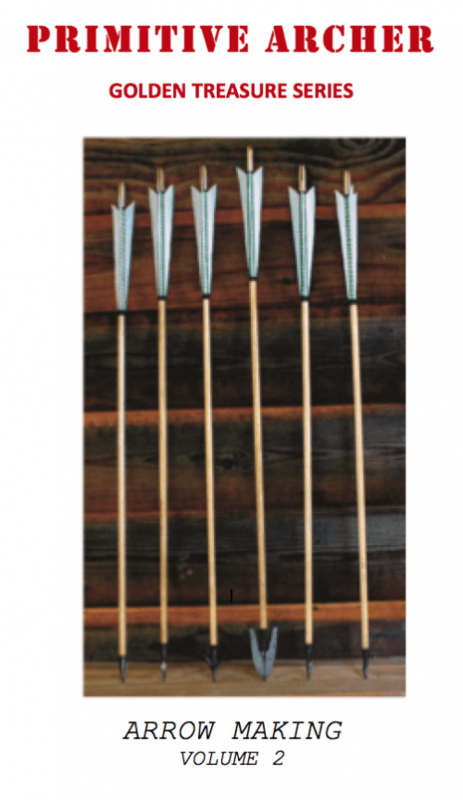 Atlatl is a word made up of two Aztec words. The first word meaning “water” and the second meaning “to throw” were combined into “atlatl”. 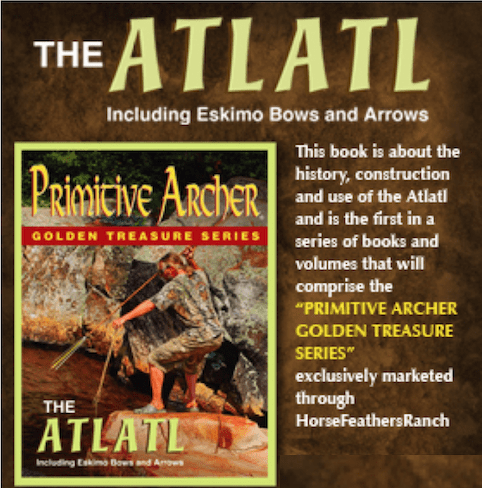 The atlatl was believed to be used both thrust a spear into the water as a means of spearing fish. The Eskimos used atlatls to harpoon whales, seals and walruses. 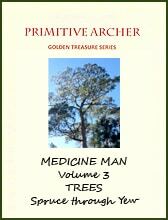 In North America, early man used atlatls as a means of throwing large darts into large animals such as mammoths, bison, and woolly rhinos and whatever or whoever threatened his security.” From author Lyle Doberstein.